If you’re looking to run livestock or grow crops, United Country – Property Solutions, LLC has an inventory of King City, Missouri farms for sale. Outdoor enthusiasts will love this area, with opportunities for fishing and hunting plentiful. Our community remembers its past while investing in the future. With King City, Missouri homes and Gentry County land for sale, we invite you to come see what makes this community such a special place. King City is positioned in northwest Missouri along the old Jefferson Highway, a historic road spanning the distance between New Orleans, Louisiana and Winnipeg, Manitoba. In the late 1920s, it was replaced by the numbered US Highway system. In 1856, the first European settler arrived in what would eventually become known as King City. The town became a stop on the St. Joseph and Des Moines Railway in 1878. Throughout the first half of the 20th century King City was the focal point of a robust bluegrass seed harvesting region stretching from Kearney, Missouri to Maitland, Missouri. By the 1950s, however, bluegrass seed production had migrated to the farming areas of the Pacific Northwest. On average, we enjoy 212 sunny days each year. July temperatures rise to around 88 degrees, with January lows dropping to 14. Annual rainfall is 36 inches, and yearly snow accumulation measures 22 inches. 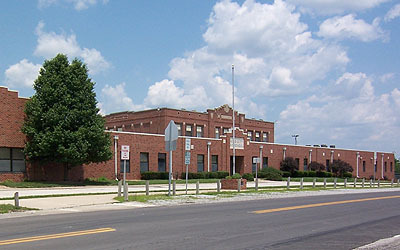 Students in our community are served by the King City R-I School District, which includes one elementary school and one high school. Students can continue their education at Northwest Missouri State University or Missouri Western State University, both within 30 miles of King City. Health services are provided by Northwest Medical Center, a non-profit, comprehensive health system in nearby Albany, Missouri. A mile north of town is the Bluegrass Ridge Wind Farm, operated by St. Louis-based Wind Capital Group. The first commercial electric wind farm in the state, it consists of 27 windmills, each towering 300 feet above the ground. The wind farm’s name serves as a tribute to the region’s history as a hub of bluegrass production. Another of our community’s unique features is the Tri-County Alternative Energy and Visitors Center. Built through donations and tax credits, the center strives to promote awareness of different sources of alternative energy and their uses. The center also provides rental space for civic events, meetings and private parties. School-sponsored sporting events and activities are some of the most popular pastimes in King City. Our rodeo arena hosts anticipated events sanctioned by the Interstates Rodeo Association, United Rodeo Association and Missouri Rodeo Cowboy Association. The King City Young Farmers Tractor Pull also attracts large crowds. Taking place each June, this fierce competition is one of many featured on the Northwest Missouri Tractor Pullers Association (NWMTPA) schedule. Anglers congregate at Limpp Community Lake, rich with catfish, sunfish and bass. King Lake is another nice spot for fishing, boating and camping. The ecologically diverse King Lake Conservation Area offers some of the region’s best hunting. Be sure to contact United Country – Property Solutions, LLC if you’re in the market for your own King City hunting farm. The King City Tri County Historical Museum brings the past back to life. Stroll through a quaint village complete with an old-fashioned barber shop, blacksmith shop, general store, post office, chapel with pump organ, classic house, log cabin, barn and chicken hatchery. Check out the "Big Red Pump," a 25-foot-high structure built to resemble an electric gasoline pump. It was first erected in 1937 as a gas station. You can even set foot inside the original King City train depot. Among the other exhibits are antique cars, a fire truck and horse-drawn hearse. Guided tours are available by appointment. Don’t forget about Living History Day, held the third Saturday of September. Are you ready to become part of a forward-thinking community with strong values and a rich heritage? Then, it’s time to contact United Country – Property Solutions, LLC. In addition to having Gentry County homes and farms for sale, we also specialize in DeKalb and Andrew County real estate. We’re the experts in northwest Missouri houses, farms and hunting land.